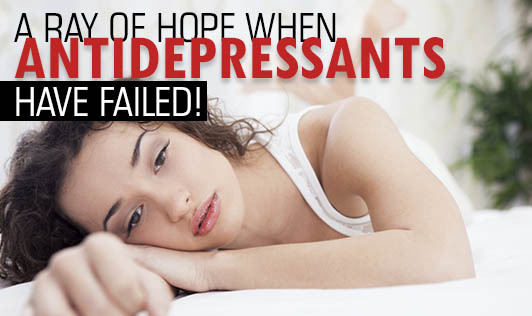 A ray of hope when antidepressants have failed! Dealing with depression is not easy, but getting help can give you your life back. Challenge your negative thinking; the sooner you act, the sooner you can change. According to the World Health Organization over 300 million people are affected by depression globally. It also predicts that by 2020, depression will rival heart disease as the health disorder with the highest global burden. A new research published on the 7th of December 2012 by Dr.Nicola Wiles in Lancet, the very first large scale study trial carried out to look at the effectiveness of therapy (Cognitive Behavioural Therapy) that was given to people who were already on antidepressants. Research findings suggest that a combination of medication and therapy works when drug treatments alone have failed. It helps reducing depressive symptoms and improves quality of life. This further emphasizes the importance to investigate more on the alternative treatment options. The American Psychological Society urges “psychotherapy as depression treatment before pills”. Psychotherapy is a safe and very secure way to help patients to work through their problems, thus enhancing your mood , energy, improving job performance, satisfying relationships and being able to function effectively in other areas of life that have been negatively impacted by depression. So if you are suffering from depression and feel that antidepressants are just not working, give psychotherapy a try!